MMP – Greeeeat success at Liverpool event! Locked out workers at MMP in Bootle were out in Liverpool City Centre today (Saturday) gathering growing support from ordinary people and families in their campaign to get the Austrian multi national packaging company to end the lock out of Unite members fighting for a decent redundancy package and to stop selective job losses. 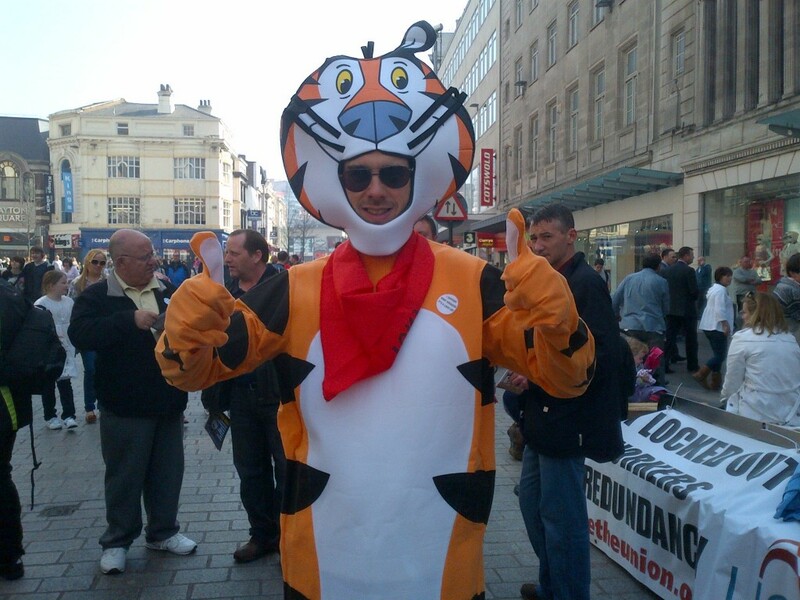 The result – a roaring success and the response from the public was Greeeat!!! Take a look at the photos by clicking here. This entry was posted in Blogs, Employment Rights, Labour Party, Media, Politics, Solidarity, Trade Unions, Trades Union Congress, Unite The Union, Workers Uniting. Bookmark the permalink.